* indicates a required item. Northern Hardwood Company expertly installs wood sports flooring, synthetic sports flooring and vinyl sports flooring throughout the Western United States. From school gyms, churches, recreation centers, private clubs and residences, we are the perfect choice for your sports flooring project. Northern Hardwood Company, located in the greater Seattle area serves Washington, Oregon, Montana and Idaho. Contact us today for a free sports flooring estimate. 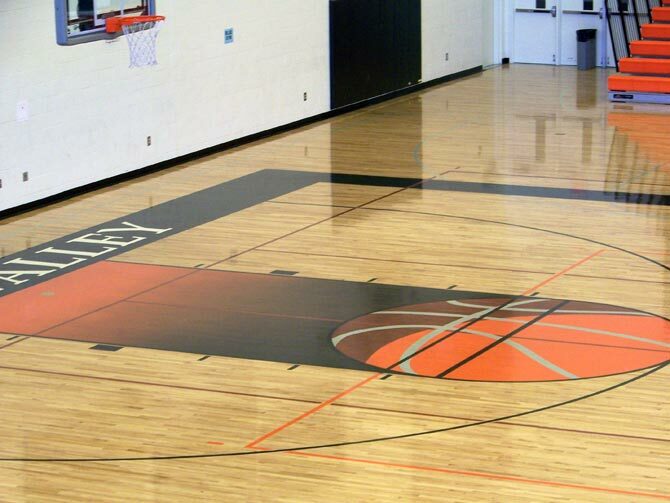 Getting your court or sport flooring installed with superior design and quality is our top priority. Our 50 years in business has helped us refine our sports flooring skills and develop into one of the finest gym floor companies around. We know that the right equipment and materials are very important to producing an excellent court or sports flooring system. We have invested heavily into just the right equipment that allows us to install your sports flooring with the highest level of excellence quickly. We help you choose the right sports flooring for your specific needs. The myriad of choices available today make it exhausting to decide. We help make the job of choosing much easier. We start by investigating your needs thoroughly by asking lots of poignant questions. We really need to get to know your needs first before we can give you a list of choices. Once we have a full understanding of your sports flooring needs, we then give you a few recommends to consider and investigate.